wirelessly. They're commonly used to detect shoplifting, but have many other uses. 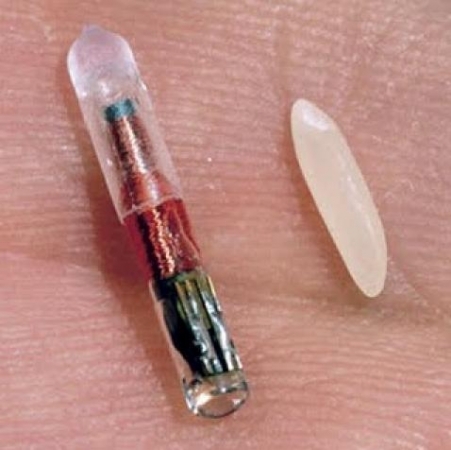 That's a grain of rice on the right. I hear that some hotels are now using towels with washable RFID tags to prevent guests from stealing them.